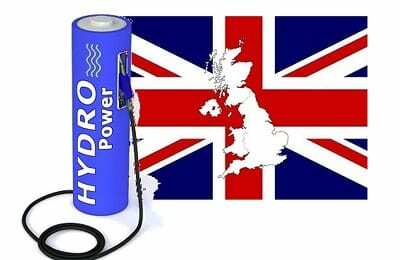 Momentum is growing behind the United Kingdom’s efforts to build a comprehensive hydrogen fuel infrastructure. ITM Power, a leading developer of hydrogen solutions, has opened a new fueling station in Teddington, which is east of London. The new station is the first of its kind and was built with the support of the UK government and the European Union. The station is the first of its kind, able to produce large volumes of hydrogen on site, which eliminates the need for costly hydrogen deliveries. ITM Power has played a major role in helping expand the UK’s hydrogen fuel infrastructure. This month, the company entered into a contract with the Commercial Group, one of the country’s largest users of fuel cell vehicles. Per the contract, ITM Power will be providing the fuel needed to power these vehicles. The company’s innovative technology has garnered the attention of many organizations using fuel cell systems. As such, ITM Power has begun to grow its portfolio of fuel customers in the UK. The station developed by ITM Power is part of the HyFive project, which aims to promote clean transportation in the United Kingdom. It is the first of four stations that ITM Power will be building in the country. These fueling stations will be located along a major highway, providing drivers of fuel cell vehicles with easy access to the fuel they need. Through the HyFive project, an estimated 65 more hydrogen stations are set to emerge throughout the country by 2020. The United Kingdom is looking to establish itself as a leading market for clean vehicles. In order to accomplish this, the government intends to make the country a more attractive venue for fuel cell vehicles, which are being produced by several major automakers. By developing a comprehensive hydrogen fuel infrastructure, the UK hopes to encourage these automakers to bring their new fuel cell vehicles to the country.